Xyhlo biofinish is an environmentally friendly alternative for the preservation of wood, most effective in outdoors applications. Inspired by natural processes and depending on natural resources, Xyhlo biofinish is as eco-friendly as can be! Xyhlo works through the application of a proficient, black and living protective layer which can restore itself if need be. Offering the wood durable protection as only nature can. Xyhlo biofinish is a nature-friendly application. 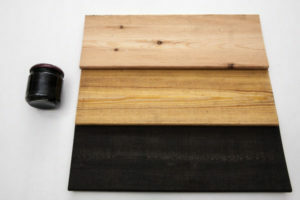 Introducing an organic, protective membrane to the wood through a base coating consisting of natural oils and a second layer of biological coating existing of nature-activated and harmless fungus. Allowing our indigenous, less sustainable wood species to experience long lasting protection without the application of damaging technologies or polluting materials. Consisting of only natural and local resources, Xyhlo-coated wood is a 100% biodegradable. Once the wood has extended its technical life span, the material may be brought back and obtained by nature. There are no additional CO2 emissions in the destruction of the coated wood, not even when the wood is repurposed for the generation of energy. Cradle-to-cradle aims for an ideal circular economy, believing that all used materials can be repurposed in highly efficient ways. Inspired by nature the cradle-to-cradle philosophy is about eco-effectiveness and goes beyond conventional sustainability tools and approaches by considering equal economic, social and ecological benefits. Wood coated with Xyhlo biofinish is completely reinforceable and does is no way endanger our ecology. On the contrary; Xyhlo-coated wood nutrifies new organisms and plants – waste equals food. 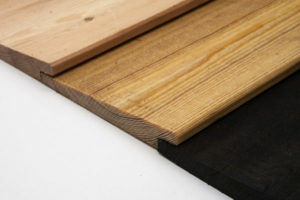 The black, living microorganisms which form the base of Xyhlo biofinish do not only protect the wood, but will also restore exterior and interior damage from which the wood may suffer. Tears, rips and scratches can be made undone as the coating is in a constant state of rehabilitation. Unlike conventional coatings which deteriorate from the moment of application and onwards, Xyhlo grows more advance and prosper when maturing. 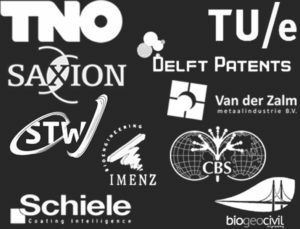 Xyhlo owns its success to the operationalization of active fungal parts and chlamydospores present in the coating. which attach to the wood through biopolymers. Xyhlo biofinish does not only protect against climate impact, but is also highly competent against wearability due to UV-radiation and a masterly defence against other, unwanted fungus. Extremely sustainable, prolongs the lifespan of the wood with 5 years or more. Inspired to get started with our eco-friendly and CO2-neutral Xyhlo biofinish? Request a free sample of softwood coated with Xyhlo biofinish for a hands on experience to experience the benefits for yourself, no strings attached!